Solid, one-piece wall panels: sturdy and durable, with realistic tile look and textures. Mistake-proof Unlock installation system design allows you to perfectly align the walls, slip them together and lock them into place. Create a sophisticated bathroom space with unparalleled ease and speed. Utile by MAAX is an innovative shower wall solution that comes in a range of rich colors, deep textures and stylish patterns that look and feel like tile, yet installs easily in just 1 day versus 3 days for standard ceramic tile. Utile shower wall panels are stylish, easy to install and will provide you with peace of mind for years to come. You'll love the realistic-looking tile patterns and grout lines which are crack-proof and low-maintenance. For a complete shower solution, get a MAAX shower door that it's sure to fit your new Utile shower. Create a sophisticated bathroom space with unparalleled ease and speed. Utile by MAAX is an innovative shower wall solution that comes in a range of rich colors, deep textures and stylish patterns that look and feel like tile. Accompanied with the modern Halo sliding shower door and Olympia shower base this shower kit is the complete shower solution for your bathroom make over. 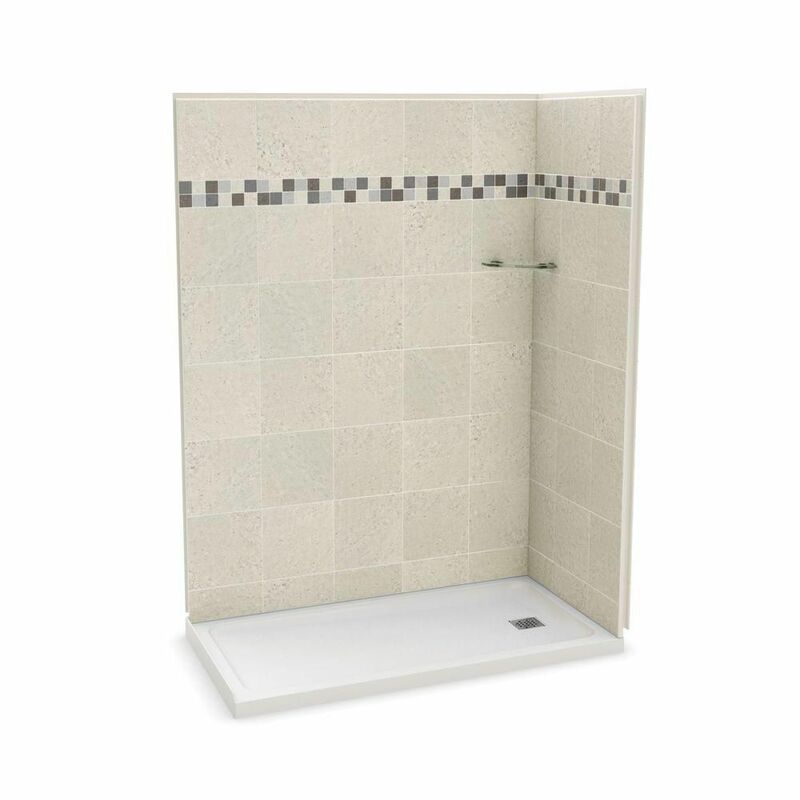 Utile 32-Inch x 60-Inch Corner Shower Stall in Stone Sahara Create a sophisticated bathroom space with unparalleled ease and speed. Utile by MAAX is an innovative shower wall solution that comes in a range of rich colours, deep textures and stylish patterns that look and feel like tile, yet installs easily in just 1 day versus 3 days for standard ceramic tile.